Can YOU choose how your personal data is used? This little exchange highlights the essence of an individual’s right to privacy – Individuals should have control over how their personal data is used. Do you have control? Should you? If you can’t see the video, you can access it on YouTube here. Identity – Critical for GDPR? How critical is Identity and Access Management to GDPR Compliance? The somewhat radical, but underlying philosophy of GDPR is that enterprises must enable individual data subjects (EU citizens) to control their own Personally Identifiable Information (PII), and grant or withdraw permission to store and use such data. Certainly, appropriate processes and technology are essential to protect the data “by design and default,” but the question remains – how can enterprises keep track of all the data subjects and their PII data? Know who all data subjects are and what personal data is being maintained? Know what rights of data use each data subject has granted? Know PII data elements are being maintained and processed for each data subject? Enable data subjects to edit (rectify) any of the data elements being maintained? Allow each data subject to grant or withdraw consent? Securely authenticate and authorize data subjects when they desire access to their PII? Guarantee that only people with legitimate need-to-know can access PII? Enable data subjects to request erasure? Audit and certify processes for consent, use and erasure? Notify data subjects of any breaches? There are probably more reasons, but this list is a start. In my opinion, Identity at the heart of effective GDPR compliance. By the way, as of today, there are only 300 days left. May 25, 2018 is bearing down on us like a proverbial freight train. That is the date when the European Union General Data Protection Regulation (GDPR) becomes binding law on all companies who store or use personal information related to EU citizens. (Check out the count down clock on the GDPR website). Leveraging our experience built over the years and our technological capabilities, Oracle is committed to help customers implement a strategy designed to address GDPR security compliance. This whitepaper explains how Oracle Security solutions can be used to help implement a security framework that addresses GDPR. The protection of the individuals whose personal data is being collected and processed is a fundamental right that necessarily incorporates IT security. … help address GDPR requirements that impact data inventory, risk awareness, application modification, and architecture integration. 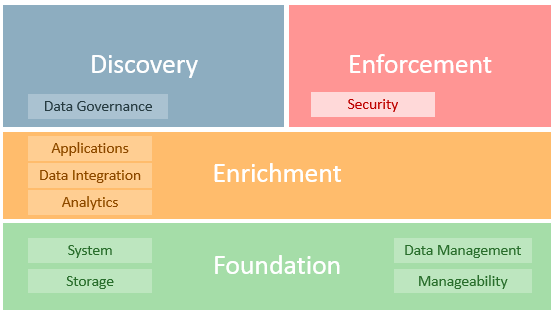 The following diagram provides a high-level representation of Oracle’s security solutions framework, which includes a wide range of products and cloud services. … four security requirements are a part of many global regulatory requirements and well-known security best practices (i.e. ISO 27000 family of standards, NIST 800-53, PCI-DSS 3.2, OWASP and CIS Controls). The path towards GDPR compliance includes a coordinated strategy involving different organizational entities including legal, human resources, marketing, security, IT and others. Organizations should therefore have a clear strategy and action plan to address the GDPR requirements with an eye towards the 25 May, 2018 deadline. Based on our experience and technological capabilities, Oracle is committed to help customers with a strategy designed to achieve GDPR security compliance. May 25, 2018 is less than ten short months away. We all have a lot of work to do. Today, I read of at three separate instances where class-action lawsuits have been filed on behalf of people whose personal information had been breached at a healthcare company. The largest lawsuit, filed against TRICARE, represents 4.9 million affected individuals and is seeking damages of $1,000 per record – a total of $4.9 BILLION. Wow! This action or other similar lawsuits have yet to be reach court or settlement. Depending on the outcomes, potential costs of litigation and resulting awards to victims may emerge as the single most powerful financial driver to implement good information security in the healthcare industry. My recent post about the book, “Age of Context: Mobile, Sensors, Data and the Future of Privacy,” by Robert Scoble and Shel Israel, began to explore the benefits that might accrue from converging technologies of the “perfect storm” of mobile devices, social media, big data, sensors and location-based services. But what effect will this have on personal privacy? We have spoken to hundreds of people and looked at hundreds of technologies, and we firmly believe that adding context will make the world an easier, more efficient, cleaner and more productive place. However, we’d be negligent if we didn’t point out that the price we pay for many of these benefits is our personal privacy. Every new piece of technology we adopt requires us to consider that price and how it will be exacted. The book proposes the follow principles that need to be wrestled with in this area. These are not the exact order or terminology used in the book, but my interpretation of what is needed. Transparency and candor. Service providers don’t attempt to cover up impacts to privacy made by choices consumers make. Freedom to choose. Consumers are always able to opt in and out at will – choosing what privacy they may be willing to sacrifice for other benefits. The right to know. Consumers can know what data services providers maintain, and what that data is used for. The right to go silent. Consumers retain the right to “go silent,” or opt out of any attempts to monitor or track that consumer. Data ownership. Personal data remains property of the consumer, event when the service provider is a steward of that data. Human override. Humans can always over ride automatic processes. Do other principles apply? Probably. But figuring out the implication of this list will take some concerted effort. Scoble and Israel propose that online service providers that get it right will gain advantage over those that don’t – that privacy will become a valuable asset, not just for consumers, but those who hope to deliver services to them. 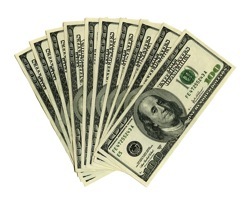 Today there is a new business currency. It can’t be found at the local bank, or purchased for any price. 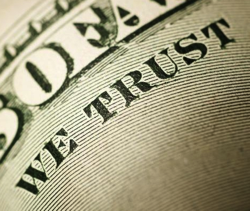 The new commodity is trust. And while I speak of trust as a commodity it can’t be bough or sold. It has to be earned. … A shift is underway in how businesses and consumers interact, both online and in person, and the businesses that recognize the value of building trust and dare I say “wow” with each transaction will set themselves apart from the competition. “Protect privacy to build trust” can and must become a powerful mantra for modern business. 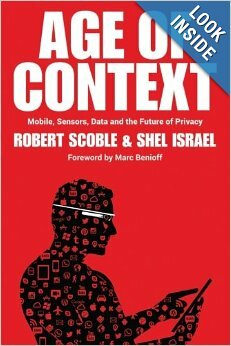 This evening, I finished reading a fascinating book, “Age of Context: Mobile, Sensors, Data and the Future of Privacy,” by Robert Scoble and Shel Israel. Our perfect storm is composed not of three forces, but five, and they are technological rather than meteorological: mobile devices, social media, big data, sensors and location-based services. … they’re already causing disruption and making waves. As discrete entities, each force is already part of your life. Together, they have created the conditions for an unstoppable perfect storm of epic proportion: the Age of Context. Project Destination, an initiative I lead for Sun, is all about providing the infrastructure to deliver highly personalized, context-aware, blended services to online users across the “screens of your life.” When you couple sensor technologies with Identity, personalization and service orchestration techniques, you can get some powerful results. It is great to see the progression and refinement of that concept. I sense we are barely scratching the surface of possibilities in this arena. Lot of fun ahead! To prepare for my first meeting with Ann Cavoukian earlier this year, I drafted a brief table which proposed a set of principles for Security by Design that aligned with the well-know foundational principles for Privacy by Design. It seemed to me that this would provide a starting point for exploring how security both supported and benefited from Privacy by Design principles. I published that draft table on my blog back in March of this year. After reviewing the draft table, Ann asked me to work with her on a paper to amplify this alignment concept. The result was the paper, “Privacy and Security by Design: An Enterprise Architecture Approach” which was published earlier this week. In the following video, Dr. Ann Cavoukian describes the paper I was privileged to co-author with her. More information and a download link is available here. 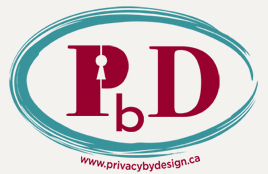 Today, we are pleased to announce publication of a paper entitled “Privacy and Security by Design: An Enterprise Architecture Approach,” which I co-authored with Ann Cavoukian, Ph.D., Information & Privacy Commissioner, Ontario, Canada. In an earlier paper with Oracle, we discussed the convergence of paradigms between the approach to privacy I have long championed called Privacy by Design, and a similar approach to security called ‘Security by Design.’ The current and future challenges to security and privacy oblige us to revisit this convergence and delve deeper. As privacy and security professionals, we must come together and develop a proactive approach to security – one that is indeed “by design.” To this end, I am delighted to be partnering with Mark Dixon, Enterprise Architect, Information Security, at Oracle Corporation, on this joint paper. Define a set of foundational “Security by Design” principles that are modelled upon and support the 7 foundational principles of Privacy by Design. Illustrate an enterprise-level process for defining and governing the strategic journey of Security by Design through an enterprise architecture approach. “On the basis of this new Security by Design approach, we then developed an enterprise-level process for defining, governing and realizing a ‘by design’ approach to security. In order to become a reality for enterprises, Security by Design requires strong leadership and continuous goal-setting. However, Enterprise Architecture is an ongoing journey, not a single project or disjointed set of loosely related projects. Our discussion found that if an EA framework is followed to define an EA security strategy in harmony with the holistic, interdisciplinary principles of Privacy by Design and Security by Design, and if a formal governance process is implemented to guide and govern the journey, then an enterprise can be proactive, rather than reactive, in addressing any security concerns. We hope this paper will assist enterprises to deliver stronger security and better privacy, for all of their stakeholders – a win/win proposition.